French DJ Willy Monfret’s tunes had many on the dancefloor of Loft 22 where over 500 revelers gathered for the annual Audemars Piguet cocktail party. 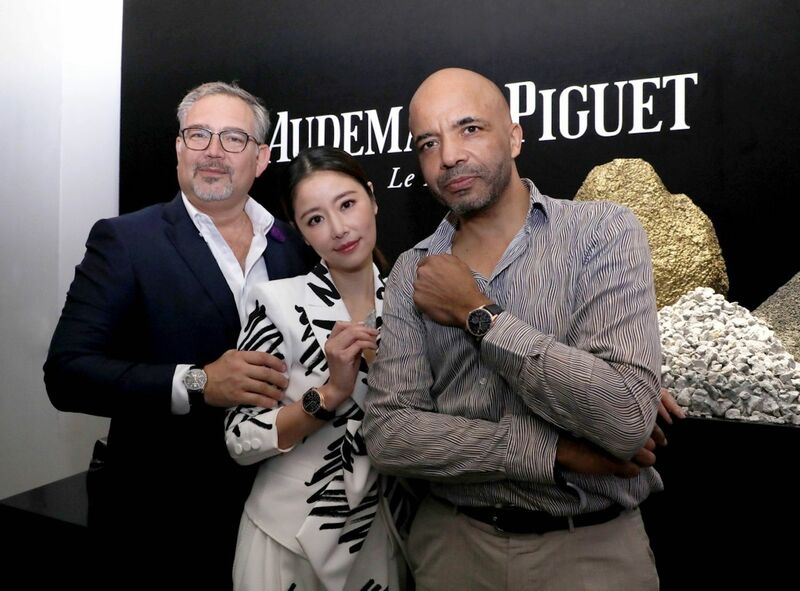 The evening celebrated the unveiling of the Audemars Piguet lounge at Art Basel Hong Kong, this year the Swiss watchmaker enlisted American contemporary artist, Fernando Mastrangelo to reinterpret the lounge’s design. Taking inspiration from the Jura Mountains, the home of Audemars Piguet, Mastrangelo’s lounge displays five intrinsic elements of Audemars Piguet’s latest watch collection including gold, brass, aventurine, sapphire glass and iron, evoking the watchmaker’s origins and the intricate process of haute horlogerie.